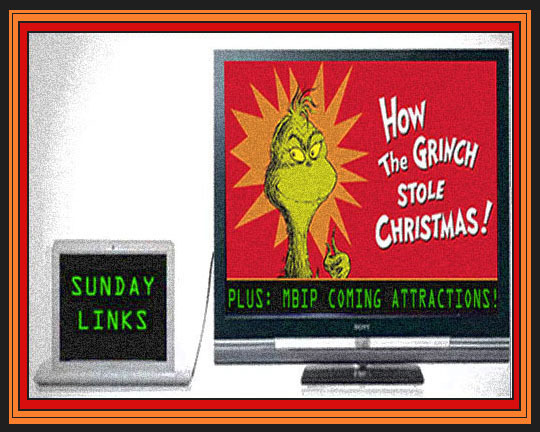 Sunday Links: How The Grinch Stole Christmas Plus MBIP Coming Attractions! “How The Grinch Stole Christmas” by Dr. Seuss originally came out in 1957 as a children’s book and was a runaway bestseller with critics calling the Grinch the best Christmas villain since Scrooge. I loved the book as a kid and was so excited when they made it into a TV special in 1966. It’s one of my favorite Christmas TV shows and so since today is Christmas Eve, I’ve found six Grinch links for your clicking perusal. And then there’s the MBIP Coming Attractions below that. The Story of Dr. Seuss's How the Grinch Stole Christmas - This is a nice history of how the book was created and then nine years later how Dr. Seuss reluctantly allowed it to be turned into an animated TV special. 11 Pieces of Evidence the Grinch Was Dr. Seuss's Autobiography - I like number one the best! Book offers long-lost Dr. Seuss stories—including a new Grinch story - The original Grinch tale! 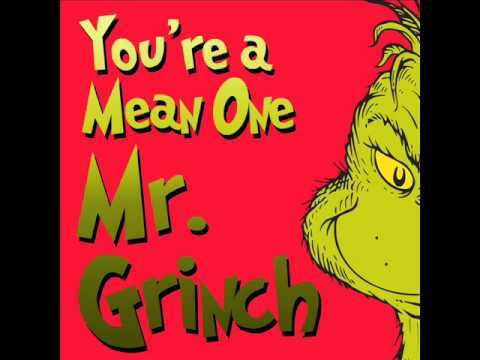 Songfacts: “You’re A Mean One Mr. Grinch - Probably the best Christmas theme song of all time...until Jim Carrey sang it! How The Grinch Stole Christmas, Starring Jim Carrey, Is the Worst Movie Ever - Speaking of Jim Carrey...I never saw this movie and I never will. 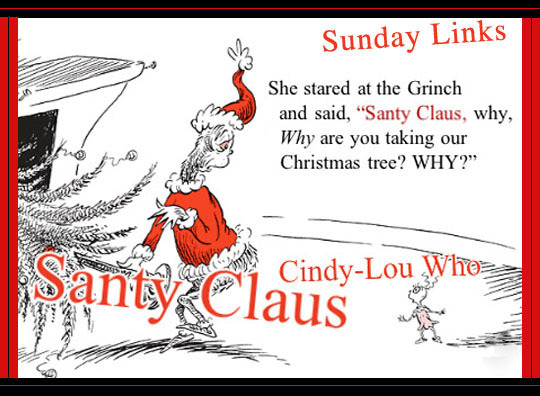 Just from the film clips I saw, I felt it destroyed the whole Grinch mythology and I bet Dr. Seuss would’ve hated it. 13 Spirited Facts About How the Grinch Stole Christmas - Until I read this, I didn’t realize that the Grinch only became green in the TV special! Last night I had a reunion with my friend Nathalie who has moved to Chicago and I haven’t seen her in a long time. We have an annual Christmas dinner at Jim's Steakhouse and this was our third one! It was a ton of fun and great to catch up with her and you can see that post tomorrow! That’s going to be it for next week as I’m taking a week off for the holidays to work on my book and clean the MBIP World Headquarters! However I will be posting a daily vacation cartoon and a link to the top five MBIP posts of 2017! So there will be something new to see every day till I come back with some original posts the following week in 2018. We’ll see you all tomorrow! Related Posts: Sunday Links: Phil Spector, The 365 Bar Blog and Watergate.